All of a sudden, dentures aren’t just for Grandpa anymore! 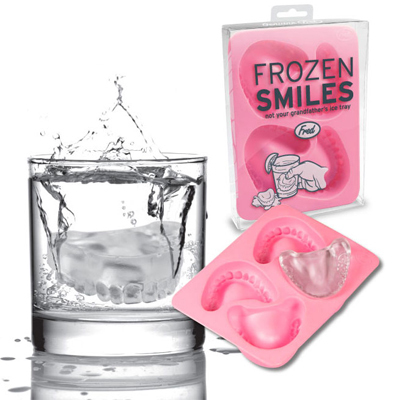 Freeze up a batch of Frozen Smiles, drop them in your glass and watch them grin right back at you! Add a little “bite” to what you’re drinking….